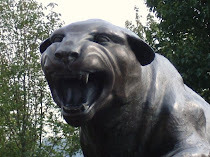 CARDIAC HILL - A Pitt Panthers Blog: Men's Basketball Big East Schedule Released. Sort Of. Men's Basketball Big East Schedule Released. Sort Of. Pitt has released it's 2010-11 men's basketball conference schedule...at least in terms of teams. Dates and times will be announced later. The Panthers will double up with WVU, Villanova, and South Florida, playing a home/away series with each. 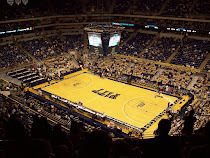 For those local to Pittsburgh, home games include the UCONN, Syracuse, Nova, WVU, Notre Dame, Marquette, Cincinnati, Seton Hall, and South Florida. Road opponents are: WVU, Nova, Georgetown, Louisville, Rutgers, Providence, St. John's, South Florida, and DePaul. Frankly, I think this is fairly manageable despite the tone of the article. They only have to play UCONN and Syracuse once. Getting Nova twice is no picnic, but WVU likely won't be as good as last year and South Florida isn't a major threat. In addition, fiive of the nine road games are against the bottom teams in the conference. Don't get me wrong - this is no cupcake schedule. But being in the Big East, you're never going to have one of those. Eyeballing it, I don't see this schedule as any tougher than last year's.